The first season of Junior MasterChef Australia, the second spin off of the Australian reality television series MasterChef Australia began on 12 September 2010 and aired on Network Ten. Matt Preston, George Calombaris and Gary Mehigan returned alongside new judge, Anna Gare.Callum Hann, the runner-up in the second season of MasterChef Australia, has also been involved in the series. 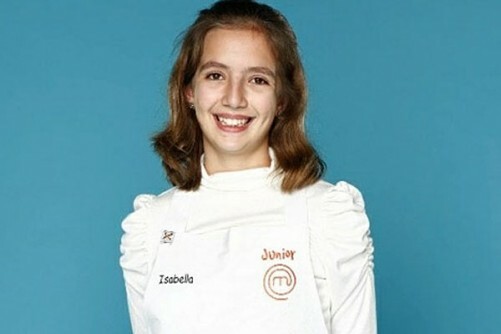 The series final was won by Isabella, a 12-year-old girl from Queensland. Australia’s junior chefs served up a delightful and tasteful blow-off with Isabella from Brisbane Queensland and her rival Jack from Hobart, Tasmania. Both undergo pressurize challenges in order to take home the top prize and be the first Australia’s Junior Masterchef. In the end, the 12-year-old Isabella beats Jack by 97 points to 94 that made her the winner of the said show. She won $15,000 in cash with her sister Sofia, who won $5000 for making the top four. “We share the money and set up a trip to Italy and make something of this restaurant because it is a dream of ours”, Isabella uttered.